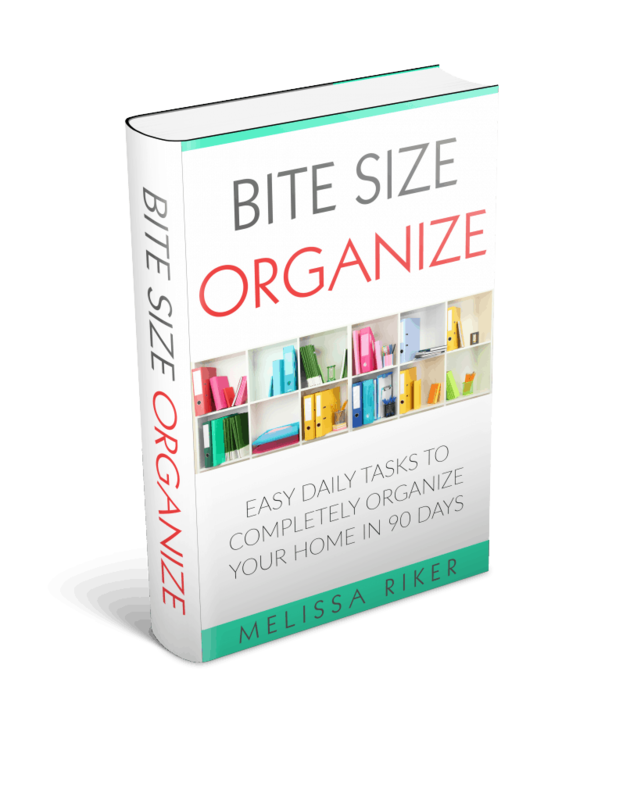 Bite Size Organize-The eBook is Here! I can’t even explain to you all the butterflies I have in my tummy right now-my hands are shaking just typing this blog post. This book has been a true labor of love-I’ve been writing, editing, formatting, and tweaking for seven months now. And today-it’s here! All for you! In the six years I’ve been writing this blog I have gotten literally HUNDREDS of emails from my readers who are frustrated, exhausted and just plain fed up with their homes. They are overwhelmed when it comes to getting their life in order. They are ready to give up on ever getting organized and just give in to the chaos. This ebook is my answer for them. For you. 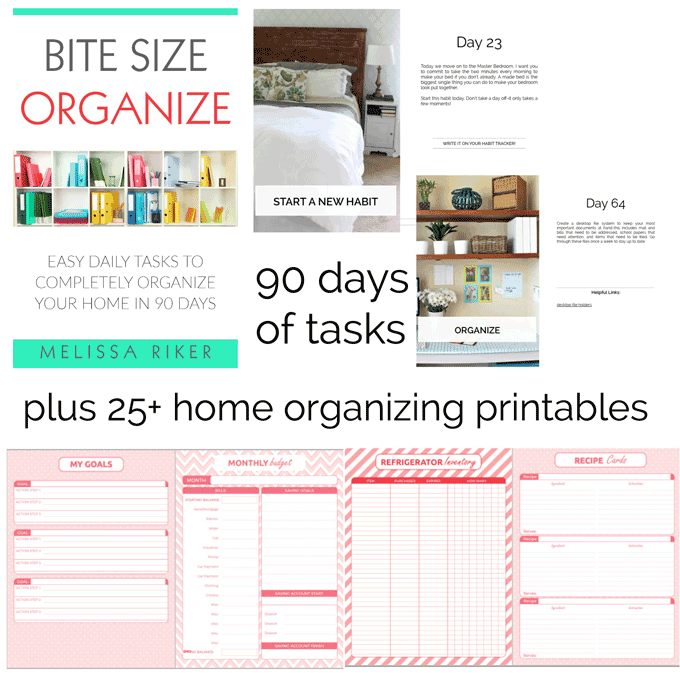 Bite Size Organize breaks down the monumental task of organizing your home into 90 days of small actions, most of which take under 30 minutes. It’s a step by step blueprint to overhaul your life and your home. I walk you through 90 days of cleaning, purging, organizing and starting new habits until being organized becomes a part of your everyday life and routine. How to streamline your cleaning to spend less time doing the chores you hate. How integrating a few simple habits into your day can dramatically transform your home and your life. Along the way we’ll also set up a home binder AND learn to use it effectively-with over 25 printables included in the ebook. You’ll be amazed at the difference it can make in your life! *Update* Here is a Facebook Live video I did talking about and showing how to use the book!